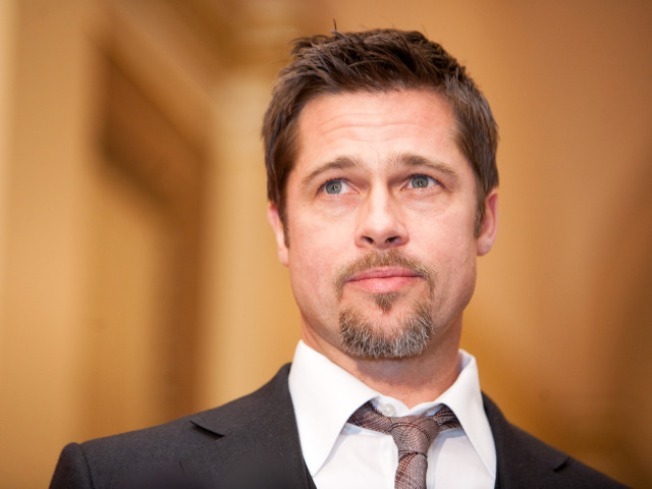 Brad Pitt seems to like his job as a Hollywood leading man more than the idea of being mayor of New Orleans. Brad Pitt is a big hero in New Orleans where his charity has helped victims of Katrina, but he doesn't want to run the town. The actor appeared on NBC's "Today" show, where Ann Curry showed him a "Brad Pitt for Mayor" T-shirt, part of a campaign residents of the city's flood-ravaged Lower 9th Ward have started. After all, Pitt's Make It Right charity has helped rebuild homes and has set a goal of putting up 150 by next year. Pitt, 45, reluctantly said he would take the job if it were foisted on him, but then stated a platform that might well make him unelectable. "I'm running on the gay marriage, no religion, legalization and taxation of marijuana platform," he said. "I don't have a chance." Pressed by Curry, Pitt repeated, "I don't have a chance," and anyway, he said, "It's not what I do best."